With Christmas coming soon and it almost time to begin thinking about those perfect gifts, you might be dreading having to buy for certain people. Men especially can be notoriously hard to buy for, particularly fathers. While you can wrack your brain trying to think of the best gift to get your brother, Dad or husband, time is ticking away and the stress will rise. 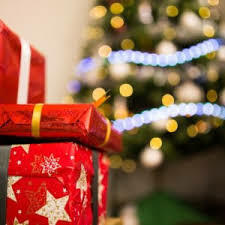 Why not take all the guesswork out of Christmas gifts for men and check out this great list of top suggestions. One thing that can be a great gift for the person who has everything is a piece of jewelry. Whether you’re married or engaged to be engaged, men’s bands and men’s promise rings can be a cute idea for those who want to either freshen up their rings or give a gift of future hope in a relationship. After all, Christmas is a well known and popular time of year for many to get married. If this sounds like something you’d be interested in, consider starting to look into men’s ring designs now! Everyone loves a good hamper. Often fancy baskets featuring a whole host of different items from alcohol such as wine to food to bath supplies and more, hampers are great gift ideas for the person that’s both hard to buy for as well as the person who has everything. After all, who doesn’t like to get a succulent food hamper they can enjoy on Christmas or New Year’s Eve with their favourite people? Hampers also come in a whole variety of pricing which makes them the ideal gift for most budgets as well. Likewise, websites like Amazon provide great options for hampers in most countries so they make a great gift to send friends overseas. These days there are a whole host of really cool subscription ideas floating around out there. Pact Coffee – where a new coffee is delivered to your door in predetermined intervals of weekly, bi-weekly, etc, Graze Box – a subscription of snacks, or even ExPacks – a collection of snacks from various countries or the Japan Box – a box chock full of fun and tasty treats from Japan. These are great gift ideas for people with everything and are the gift that keeps on giving. Consider ordering a month or two of subscriptions to whet their appetites. If you aren’t sure about the food idea, there are even game based subscription boxes like ‘Hunt A Killer’ where you have to piece together puzzles to solve crimes. While this is an oldie, it’s a goodie as well. Gift cards can be used for just about anything these days and now with many activities accepting them as well, it can be a great idea to buy a gift certificate or card for days out doing anything from having high tea to taking part in activities such as trying out high performance cars at local racetrack. Truly when someone has everything, one of the best ideas for a gift is to give them the ability to enjoy a day out they may not have thought to enjoy otherwise! So if you’re stuck on what to get your Dad, boyfriend, husband or brother for Christmas this year, hopefully one of these fabulous ideas will help make the decision a bit easier.